Do you crave for sugar or fried foods while breastfeeding? Don’t worry! You aren’t the only one. 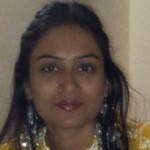 Food cravings during pregnancy and lactation are quite common for women. Read our post and learn more about food cravings while breastfeeding. As a lactating mom, you will need extra nutrition and an additional 500 kcal to produce milk for your little darling . The need for more calories and your tough schedule can trigger food cravings. Here are some reasons for food cravings during breastfeeding and how to handle them with ease. Breastfeeding moms tire easily. Lack of sleep and constant care can tire you, and the fatigue can lead to food cravings. Stick to small portions to satisfy cravings for sugar-rich or high-fat foods. Stock foods that are rich in natural sugar. Dates, dried figs, raisins and dried apricots can instantly satisfy the need for sugar. They are also full of essential vitamins and minerals. For fried food cravings, stick to healthier oils or better cooking methods. If you want to eat fries, you can bake the potatoes instead of frying them with oil. Dust the baked fries with a bit of salt, herbs and mix them with a little oil. Wholegrain biscuits, bread, and pasta, can satiate the increased cravings for carbohydrates. Use wholegrain foods with other healthy ingredients such as low-fat cheese, vegetables, and sugar-free jams to concoct a variety of recipes. Wholegrain cookies with sugar-free strawberry jam or crackers with grated low-fat cheese are healthier alternatives to foods made with refined flour and white sugar. Keep your kitchen full of both sweet and tart fruits such as banana, peaches, apples, pear and berries. Eat a chopped banana with honey and nuts for a healthier option if you are craving sweets while breastfeeding. Low-fat milk and yogurt can not only help you meet your increased calcium requirement but can also be used for recipes to satisfy your sugar cravings. Eating fresh fruit and yogurt is always better than consuming fruit cake. For breastfeeding women, it’s always better to satisfy the food cravings than to resist them all the time. It is a recipe for more stress, which you do without at this time in your life. The key here is portion control and balancing cravings with nutritious foods. Did you crave certain foods while breastfeeding? How did you manage your cravings? Please share your tips and ideas with us. Is It Safe To Eat Onions While Breastfeeding? Is It Possible To Breast Feed After Having A Breast Reduction Surgery? 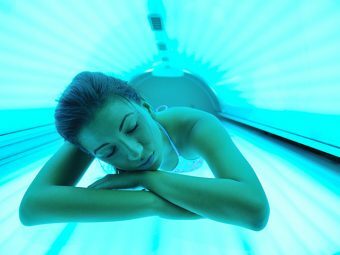 Tanning Beds While Breastfeeding - Is It Safe?